Home Amazing 'Selfitis' is a genuine mental disorder: Psychologists have created a behaviour test to decide whether those who post pictures on social media need help, so how do YOU score? 'Selfitis' is a genuine mental disorder: Psychologists have created a behaviour test to decide whether those who post pictures on social media need help, so how do YOU score? 'Selfitis' – or the obsessive taking of selfies – appears to be a genuine mental condition, research has suggested. And now psychologists have devised a test which you can take to see where you fit on the 'selfitis' scale. Following this, researchers at Nottingham Trent University and Thiagarajar School of Management in Madurai, India, investigated whether there was any truth in the phenomenon. After confirming that ‘selfitis’ does indeed exist, they tested out a framework for assessing its severity on volunteers. They say there are three categories – 'borderline', 'acute' and 'chronic'. Borderline selfitis occurs when people take selfies at least three times a day, but do not post them on social media. Someone is classed as acute if as many are taken and the pictures are actually posted online. You are a chronic selfie-taker if you feel an uncontrollable urge to take photos of yourself around the clock, posting them to Facebook and Instagram more than six times a day. The paper, written by Dr Mark Griffiths from Nottingham Trent University said: 'This study arguably validates the concept of selfitis and provides benchmark data for other researchers to investigate the concept more thoroughly and in different contexts. Read the the statements below and for each one give yourself a rating of 1 to 5, where 5 is strongly agree, and 1 is strongly disagree. The scale, which runs from one to 100, was compiled after tests on focus groups with 200 participants that looked at at what factors drove the condition of selfitis. Then, the team tested out the scale by carrying out a survey on 400 participants. 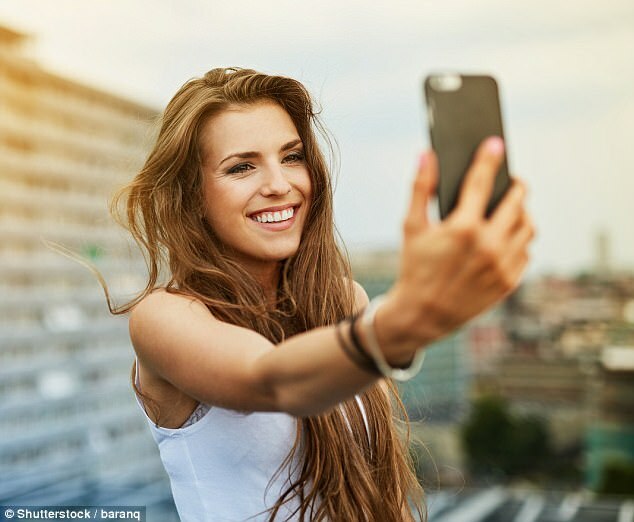 India has had the highest number of selfie-related deaths, where a person dies while trying to take a picture of themselves, according to research published in July. The study, which looked at figures from March 2014 and September 2016, discovered the country accounted for 60 per cent of all such mortalities. The physiologists found that typical ‘selfitis’ sufferers were attention seekers and often lacked self confidence. They constantly post images of themselves in the hope that they boost their social credentials and to feel part of a group.